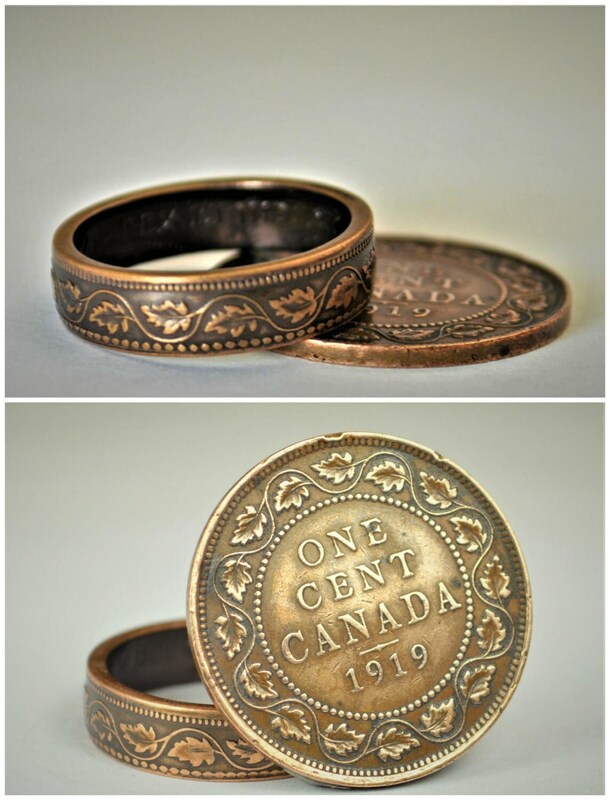 These rings are handcrafted using a copper George V Canadian Large Cent Penny Coin. Issued from 1911-1920, they feature a beautiful vine and ivy design encircled by dots, engraved by Horace Morehen, which will be on the outside of the ring. The inside of the ring features the text “Gregorius V : Dei Gra : Rex Et Ind : Imp" which stands for "George V Dei Gratia Rex et Indiae Imperator," which means "George V, By the Grace of God, King and Emperor of India." You can see the coin these are made from in the first photo. 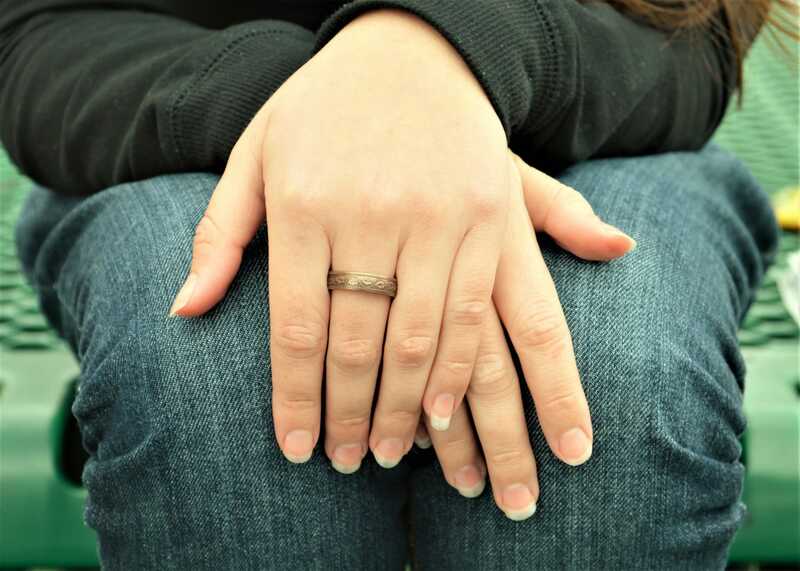 Each ring has a brown nanoceramic coating applied to the inside and outside of the ring. I then remove a portion of the coating from the outside to highlight the beauty of the coin. Finally, I coat the ring in a clear ceramic. Copper if left untreated metal can be reactive to skin, so I have chosen to apply the nano ceramic on the ring in a way that will prevent the possibility of harmless "green finger". The nanoceramic will wear off over time—however, I offer free replating of the ring as needed (just pay postage). I offer Size 4-12 for this ring. If you would like smaller size or a larger size please send me a message so that we can get you your perfect ring. Smaller rings will be more rounded and larger rings will be more straight sided and the details a bit more stretched. The coins in the photos are size 6-8. • 5-6.5 mm wide and just over 1mm thick. • Each Penny ring will be unique. • Each Penny is made of copper. All orders are made by hand in my Tehachapi, California studio. I offer a lifetime craftsmanship warranty on all my jewelry. I want you to love your jewelry as much as I love making it!! Lovely, brown and copper coin ring! Fits perfectly! I love it and highly recommend this shop!!! Love it! It's lovely. I'm so pleased. Lovely and unique ring made with excellent attention to detail. Loved it so much I HAD to order another!